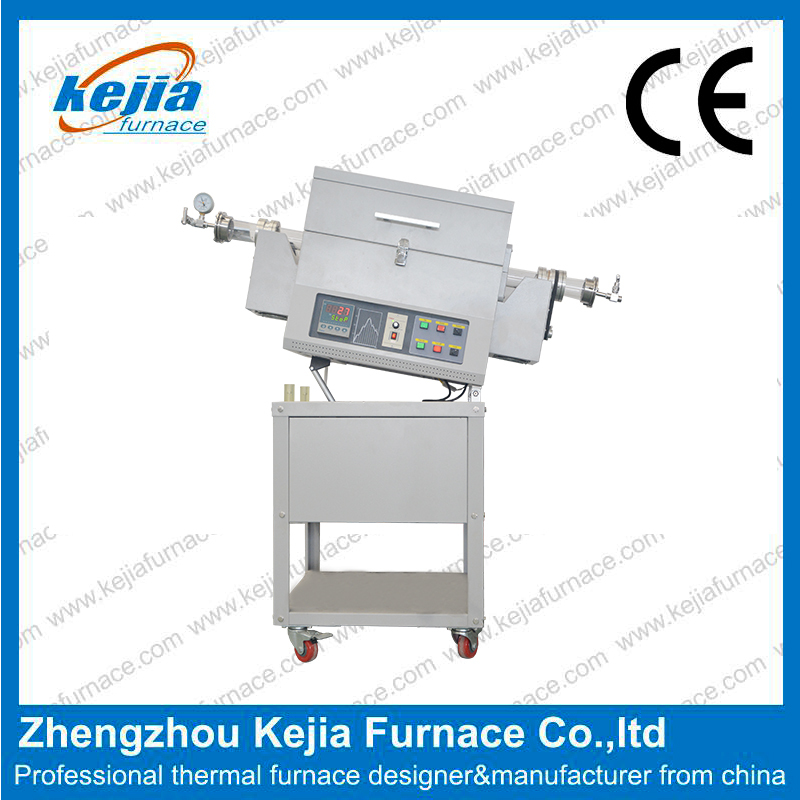 Description:Rotary tube furnace is a high temperature reactor with special rotary and tilt function. It is specially designed for sintering of inorganic compound, such as, mineral particles and battery material and with better uniformity. Multi heating zone, condenser and tail gas collect equipment can be optional part according to different experiment. 1. Single zone rotary tube furnace is designed for calcining inorganic compound with better unifiormity, esp. excellent for preparing Li-Ion battery cathode materials with conductive coating, such as LiFePO3, LiMnNiO3, etc in R&D Laboratory. 2. Double shell casing with three cooling fans. 3. High purity Alumina fibrous insulation for max. energy saving. 4. The furnace can be tilted up to 30o by electric lift. 5. Split cover enable faster cooling and easy operation. Note: there are different Chamber(Tube) sizes for your choice.